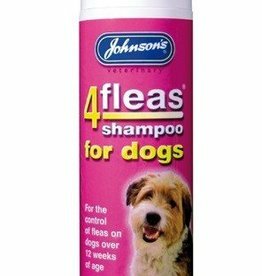 Johnson's 4Fleas Shampoo kills the fleas embedded within your pets coat and begins working from the very first treatment. 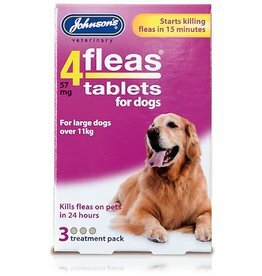 4Fleas Spot On for Dogs is fast acting, kills fleas on contact and also kills flea larvae in the pets immediate surroundings. 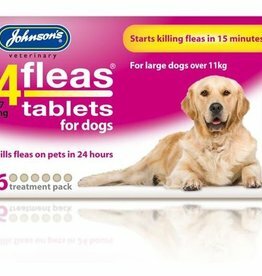 Will kill 98-100% of all fleas within 12 hours. 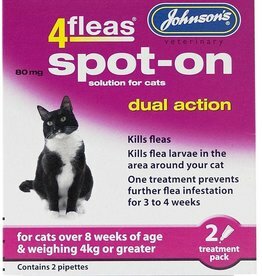 4Fleas Spot On for Cats is fast acting, it kills fleas on contact and also kills flea larvae in the pets immediate surroundings. 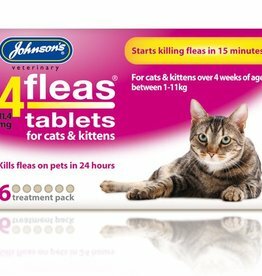 Will kill 98-100% of all fleas within 12 hours. 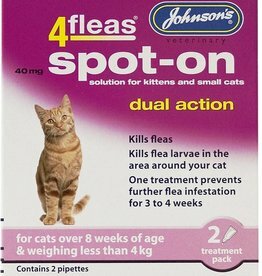 Johnson’s 4Fleas Spot On for Kittens 2 treatments. Suitable for kittens and cats over 8 weeks of age, and weighing less than 4kg. Ingredients: Imidacloprid. 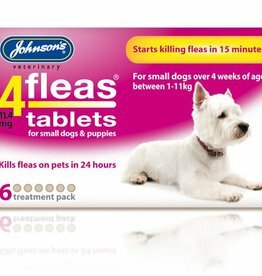 Johnson's 4Fleas fogger has been developed to kill fleas and other insects such as ants, cockroaches and earwigs in one treatment. 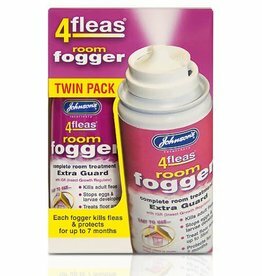 4Fleas Household Spray contains a domestic insecticide to kill and protect your home from fleas brought in by your pet, therefore breaking the flea life cycle. 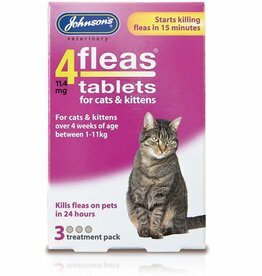 4Fleas Tablets start to kill fleas after 15 minutes of being administered and are suitable for kittens and cats between 1 and 11kg in weight. 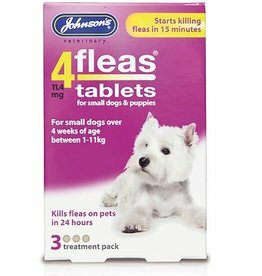 4Fleas Tablets start to kill fleas after 15 minutes. suitable for dogs over 11kg in weight.After 24 hours, complete efficacy is reached. Tablets can be mixed into food or given directly. Johnsons Poultry Apple cider vinegar is a traditional natural remedy to help maintain good health, condition and good egg laying. 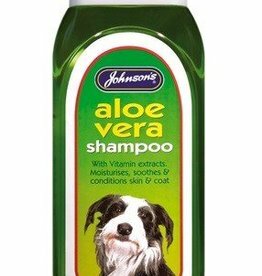 Johnson’s Aloe Vera Shampoo soothes, moisturises and conditions the skin and coat. Contains aloe vera and vitamin extracts. Helps to prevent plaque and tartar build-up, and promotes fresh breath. 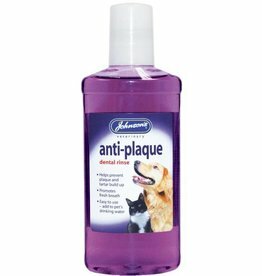 Add to your pet's drinking water, at a rate of 20ml Dental Rinse to 500ml of water. 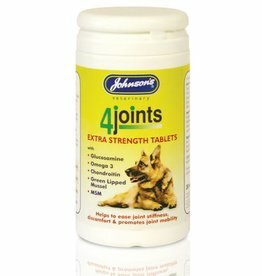 Johnsons Anti-Chew Spray contains Bitrex a bitter tasting yet harmless substance helps to train your pet not to chew or scratch furnishings and household items. Can also prevent wound licking. Water based pump spray, can be sprayed directly onto caged birds or pigeons to kill external parasites such as red mite, northern mite or lice. 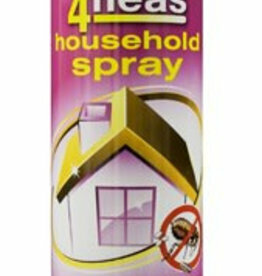 will also help to prevent reinfestation. 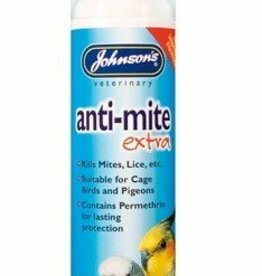 Johnsons Anti-Pek is an aid to help prevent poultry from feather plucking and self-harm. The pump spray contains ingredients which are distasteful to birds. 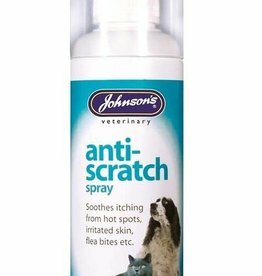 Johnson's Anti Scratch Spray provides gentle relief for irritated skin. 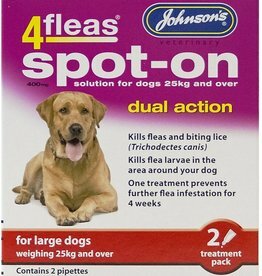 effective in soothing areas effected by flea and insect bites and treating hot spots, scrapes and minor grazes. 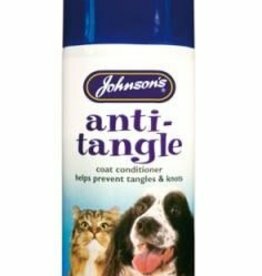 Johnsons Anti-Tangle Aerosol Spray 150ml helps prevent knots and tangles improves texture and appearance of coat. 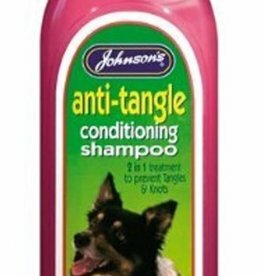 Revitalises your pet's coat and helps prevent knots and tangles. Conditions, cleans and revitalises the coat.